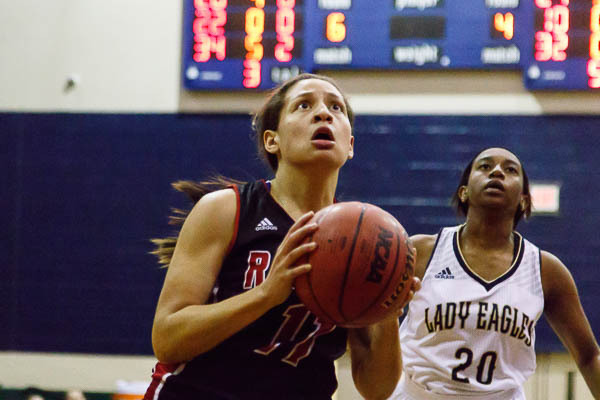 The Ravenwood Lady Raptors defeated Harpeth Hall 55-47 in a home game Tuesday night. Ravenwood used a 15-5 first quarter to gain a lead that they never lost. Kiera Downey led the way with 23 points and 9 rebounds in the victory. Senior Catie Jett recorded a double-double with 11 points and 11 rebounds. Margaret Gleason played a strong game with 8 points. Emma Altizer led the team in assists with 3. Ravenwood will next take the court Friday night when they travel to Brentwood High School for the Battle of the Woods, game time is 6:00 PM with the boys game to follow.